Last weekend I was talking with my mom and she told me about some scotcheroos she had seen at a party. Instead of being made with something “healthy” like Rice Krispies or Special K, her friend went all out and used chips instead. My eyes glazed over at the thought of the salty-sweet goodness. I couldn’t stop thinking about it until I made them for myself and salty-sweet lovers everywhere. 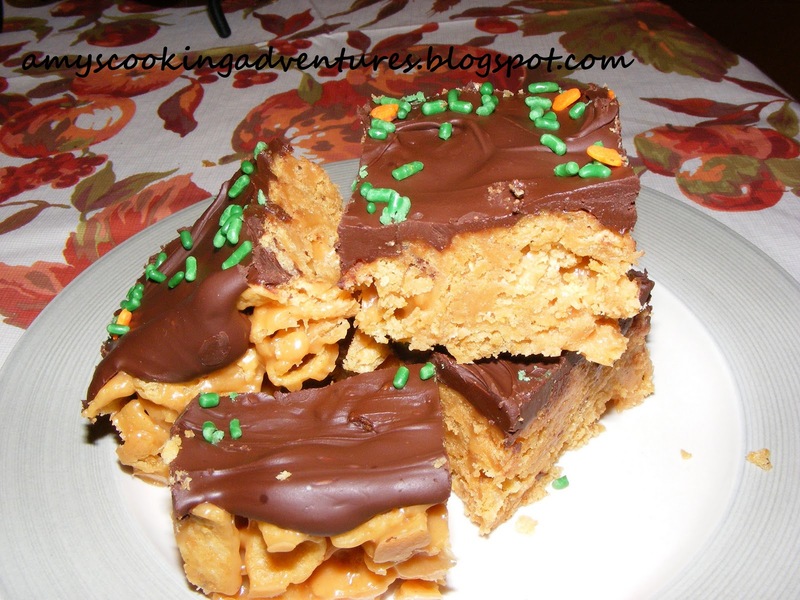 So, I pulled out my mom’s scotcheroo recipe (yum) and modified it to bring the salty-sweet deliciousness to fruition. I was not disappointed. It was difficult to share, since I wanted to hoard them all to myself. But, I was a good person and even put them out when we had company. One thing you may notice in the recipe is that there is no butterscotch in my scotcheroos, confusing, eh? Well, I don’t like butterscotch, so my so called scotcheroos never have it (and I’m always super disappointed when I eat a real scotcheroo containing butterscotch!) 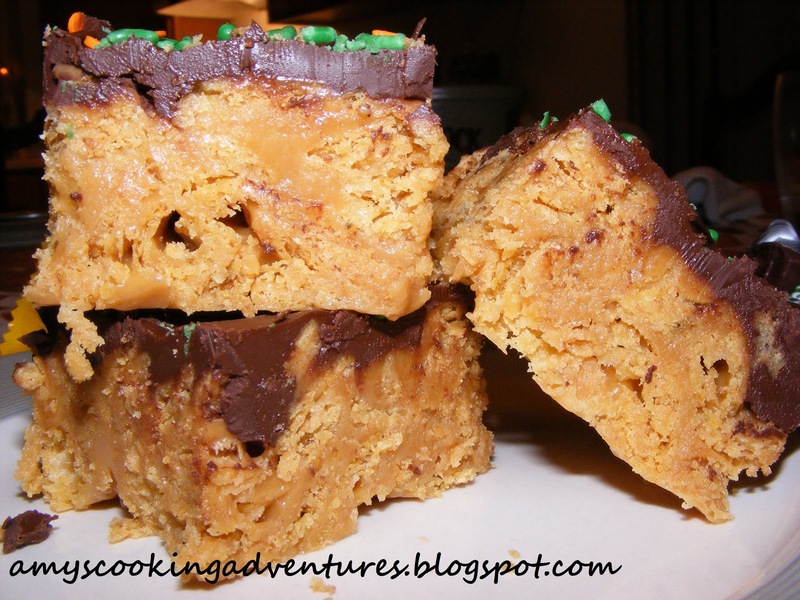 So, if you like scotcheroos with butterscotch, you’ll have to add it in, wherever it usually lurks, ruining perfectly good chocolaty non-scotcheroos. Butter and 8 x 8 inch pan, set aside. Mix corn syrup and sugar together in a pan. Over medium heat, bring to a boil, stirring frequently. Remove from heat. Mix in peanut butter. Fritos and stir until Fritos are coated. Press mixture into a buttered 8 x 8 inch pan. Put chocolate chips in a microwave dish. Microwave for 30 second increments, stirring each time, until chocolate is melted. Spread over Frito mixture. Ohhh, what are you doing to me?? The sweet/salty combo is my downfall! I will contemplate whether or not I can forgive you for this one! YUM!!! Hahaha! They do look good. I like Scotcharoos with or without butterscotch--as long as the butterscotch doesn't overpower the rest of the creation! Amy those are things of peanut buttery beauty! Thanks everyone! These were very fun to make...and eat!